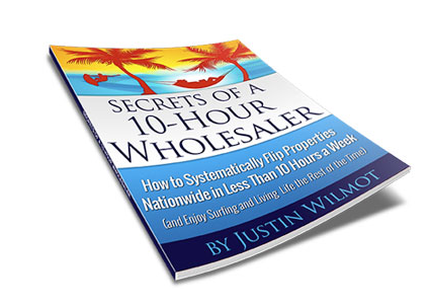 Wholesaling, Co-Wholesaling & Virtual Wholesaling all rolled up into one great system! Why is virtual wholesaling the easiest way to get started flipping real estate online? Our very first virtual house flip made me $8,400 and took less than two weeks for me to get paid. My total investment in making it was $97.00 and a couple hours work. We did absolutely no marketing for sellers, no letters, no bandit signs, no nothing. All we did was follow Justin's system and it worked perfectly! If you're looking for a way to start flipping houses but lack the skills and knowledge this is the program for you. Additionally if your currently wholesaling and struggling to find below market properties to send your buyers this will help you immensely. For more information watch the video above..